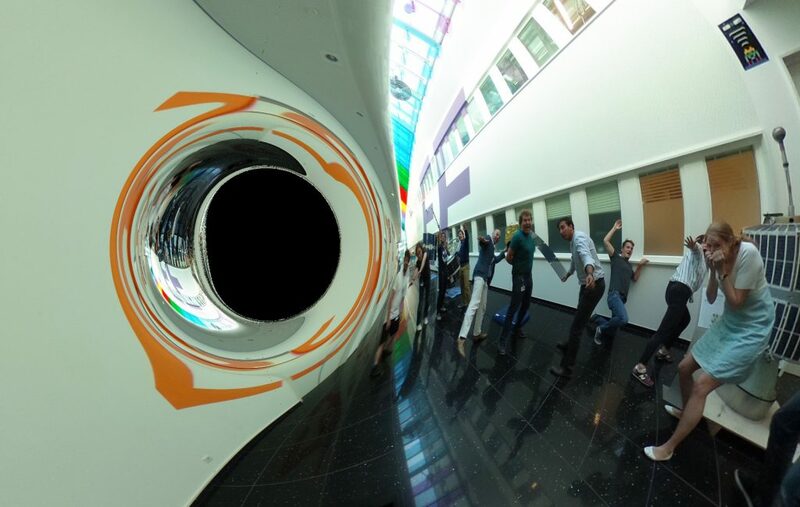 Researchers at ESA’s Advanced Concepts Team (Alexander Wittig and Jai Grover) have created this amazing black hole visualisation tool, now licenced under Creative Commons CC BY-SA 3.0 IGO. It simulates the view of an observer looking at distant light sources ​while ​in the presence of a black hole. ​By default, the Milky Way panorama by ESO/S. Brunier (CC BY 4.0) is used as background image, but you can even upload your own and then take screenshots. Note the web app runs on WebGL for rendering and this is why it needs a modern browser such as Firefox, Safari or Chrome. Read more and try it via the links below.